From coffee to vanilla - for a second porter, I am trying a Vanilla Porter from Breckenridge Brewery. 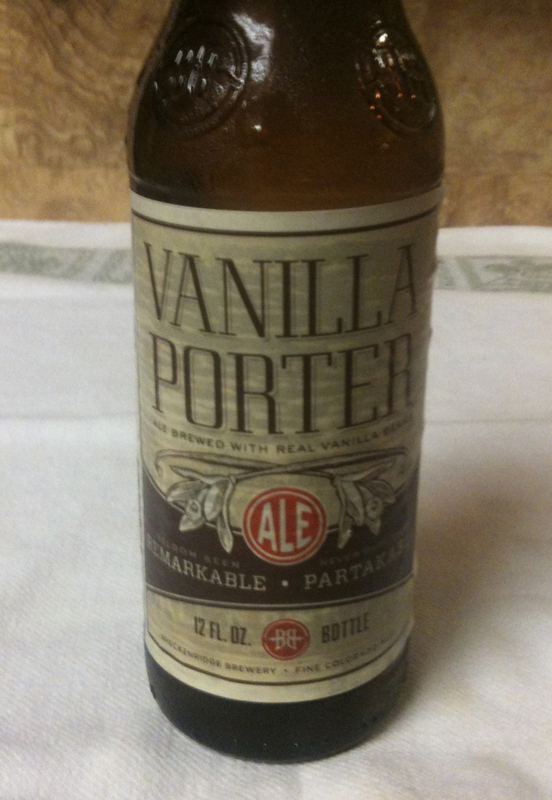 It is brewed with the addition of vanilla beans from Paupau New Guinea and Madagascar. The twelve ounce bottle shows 4.7% ABV. IBUs are listed at 16 on the web site. Tonight's beer poured with a smaller, lighter brown head. The color appears to be a darker brown that lets through some red-tinted light when held up to a light. Aroma - another one that hints at coffee when your nose is in the glass. For strength, I would say this one is a medium. There is some malt, then the vanilla hits your taste buds on the last part of the sip. 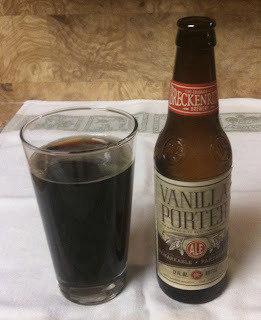 It's not a cloying or sweet vanilla, but it is there a little stronger than I expected, reminiscent of spice or herbs. The aftertaste leaves a little of the herbal/spice note from the vanilla on your tongue.